A guest for dinner and her request was for a white wine. 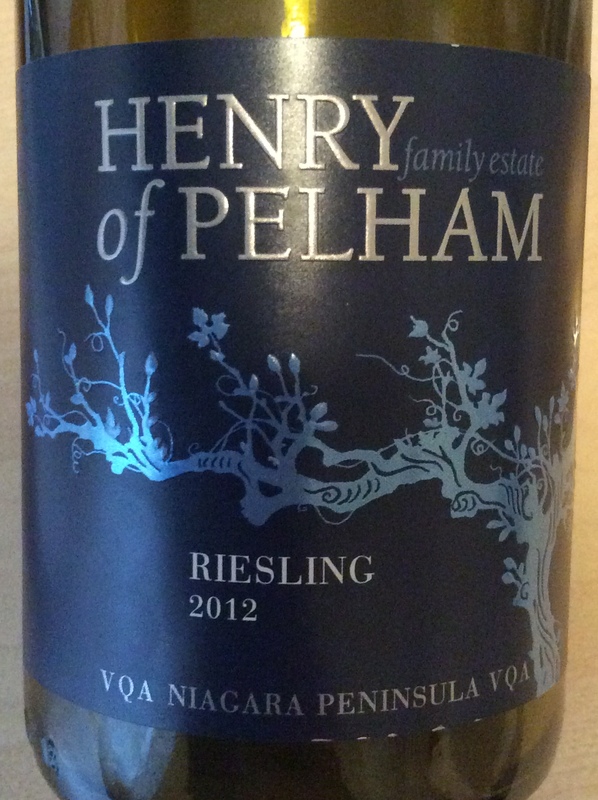 A trip to the cellar and the 2012 Henry of Pelham Family Estate Winery Riesling VQA Niagara Peninsula VQA was the first bottle I laid my hand upon. I picked this bottle up last year before Christmas from the reduced section at the local LCBO. I believe it was reduced due to the latest vintage being offered, not from someone returning 7 bottles. With a light golden colour, the nose burst forward with bright zesty floral aromas. Lots of green apple peel, lime pith, and a touch of a floral (think just-opened tulips and daffodils) note. The flavours were a replay of the nose with vibrant green apple, slightly under-ripe pear, and a touch of kiwi and dried apricots. The combination of flavours and aromas gave the slightest impression of petrol starting to form, delightful and delicious. Complex yet simple at the same time, a truly fine example of a Canadian Riesling. After spending a night in Niagara Falls with the family, we decided to stop at a winery on the way home, specifically Stratus Winery, to pick up a bottle of 2012 Wildass Red as a gift for a friend. 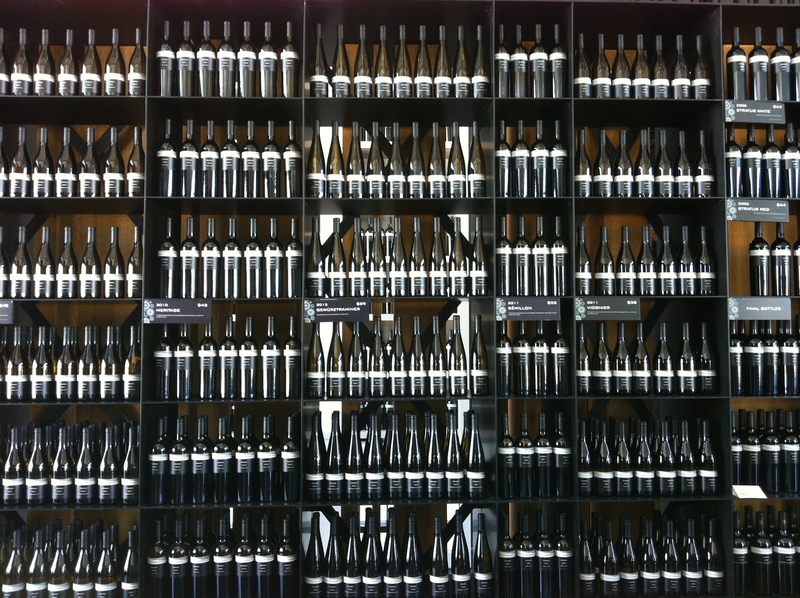 It has been a few years since my last trip to Stratus and I was excited to get in and try a few of their fantastic wines. With two kids in tow, I didn’t have a lot of time to make detailed notes on what I tasted but did have a chance to try some recent vintages of their single varietal offerings. Below are what I tried, in the order they were tried, the price of each and the notes I made. Beside the two bottles of 2012 Wildass Red (one gift and one for ourselves), I also picked up the 2012 Kabang Red, the 2012 Stratus Gamay and a bottle of the 2011 Stratus Sauvignon Blanc as that was the beautiful wife’s favourite of what we tried. I enjoyed all that I tried, each wine being distinctive and original. 2011 Stratus Sauvignon Blanc – $29 – Softened herbaceousness, slight grassy note, fresh and clean. A perfect summer sipper dressed in vintage Chanel. 2011 Stratus Viognier – $38 – Nose of closed flower bud and a hint of stone fruit. Flavours of apricots, apricot cookie – fruit forward with some bread/yeasty notes. 2011 Stratus Petit Verdot – $38 – Heavy tannic nose, hints of roses and wet brick. Flavours of dark berry fruit, heavy earthy brick. Brooding and powerful with an elegant finish. 2010 Stratus Cabernet Sauvignon – $55 – Nose of red fruit, flavours of red fruit with grip and still bright tannins. Young, vibrant and alive. 2012 Stratus Botrytis Sémillon – $29 (500 ml) – Nose and flavours both sweet and spicy with pineapple compote and guava. 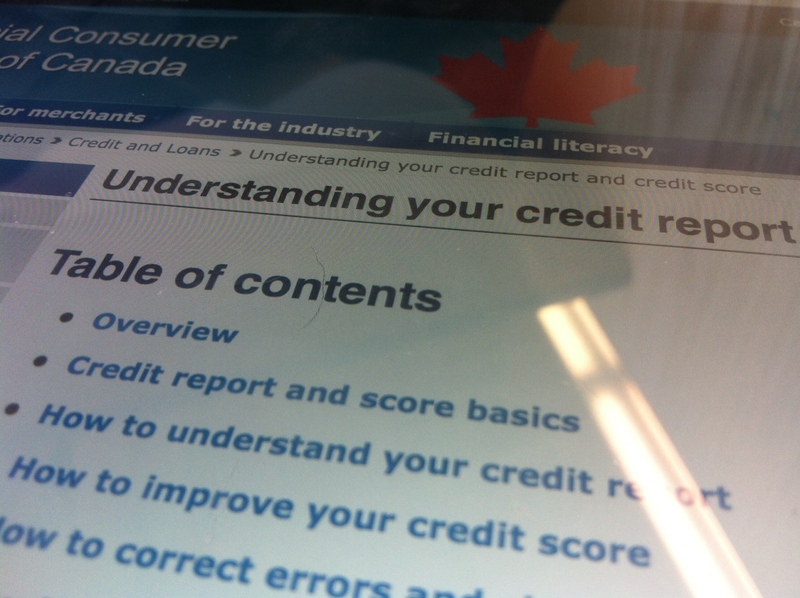 Here are my notes from a recent Continuing Education Course held at my office by Beverly Gorman from CMHC – Understanding Credit Reports. Managing credit is important if you are going to be applying for credit. To manage your credit you have to have an understanding of how the credit process works, what exactly is a credit report and what is used to calculate your credit score. In relation to the Home Buying aspect of mortgages, having a higher credit score through responsible credit management can translate to savings with better mortgage rates and terms. The notes below are in abbreviated form from the points gleaned from the presentation. More information is available through the website links below. – info to pull – name, date of birth, place of residence – with SIN narrows it down to the individual. – contains the following: personal info (aka, 3 previous residences, time credit report started, past 3 places of employment, SIN, date of birth), banking info (negative info such as account closed by credit grantor, pulling back credit, NSF charges), credit information (history of credit, loans, leases), public records (liens, family responsibility hits), collection information (judgements, only one collection per account at a time), consumer statement (Bill 152, consumer statement on your credit report for dispute/litigation, put an alert on lost/stolen wallet/purse with phone number), credit report inquiries (any time report is pulled added to the list, hard vs. soft hits that combine multiple same type of inquires into one when done in a couple weeks of another). – time frame for negative info (TransUnion in brackets) – six years for most credit transactions, secured loans, banking items, judgements (7), collections, bankruptcy (7), can negotiate to fewer years with consumer proposal (3 years) – no new debt applications when in consumer proposal. – delinquency rate is 90 days past due, rates increase depending on lack of credit score. – best way to boost score is to utilize up to 35-50% of credit available and pay by the due date. When is more info needed? – Newcomers or new clients – get a credit card, small loans, always pay bills on time (in full if possible), open a bank account and use regularly, stable employment/residence, utilize no more than 20%. – Advice to help/maintain/improve – same as newcomers as well as – pay off quickly, keep balances below the limit, reduce the applications, make contact immediately if having problem making payments. Advice to share with those with existing credit history: check credit report every year, verify information is up to date and correct, order from both agencies, get errors corrected with institution and agency. 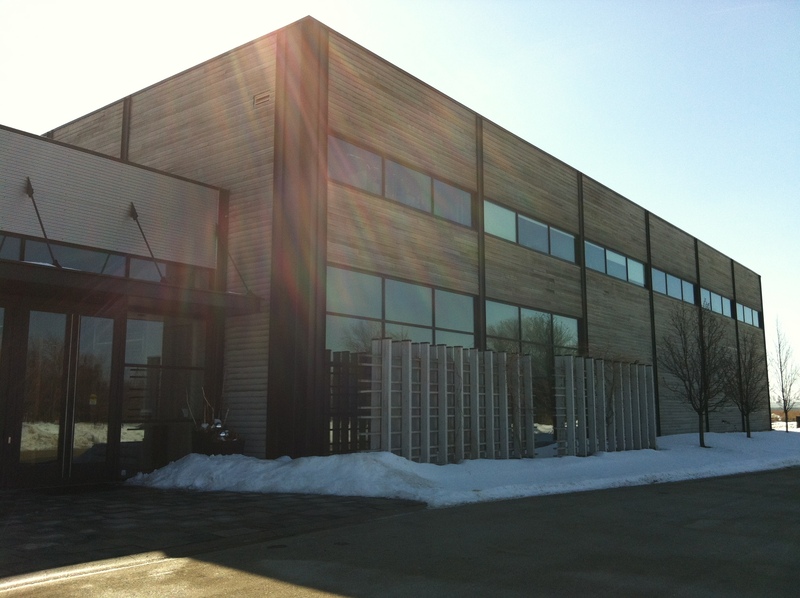 One more thing, Emily is the name of the computer system at CMHC.